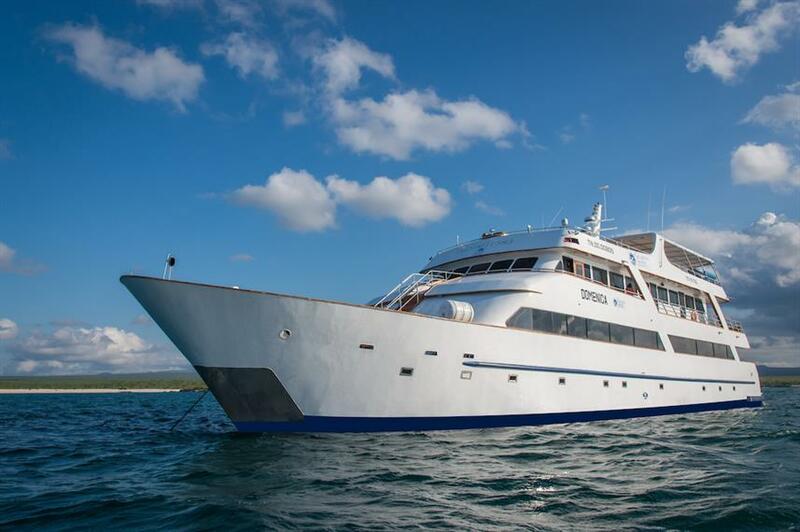 The beautiful Galapagos Sea Star Journey offers all the top class amenities you could hope for on your small ship Galapagos cruise. 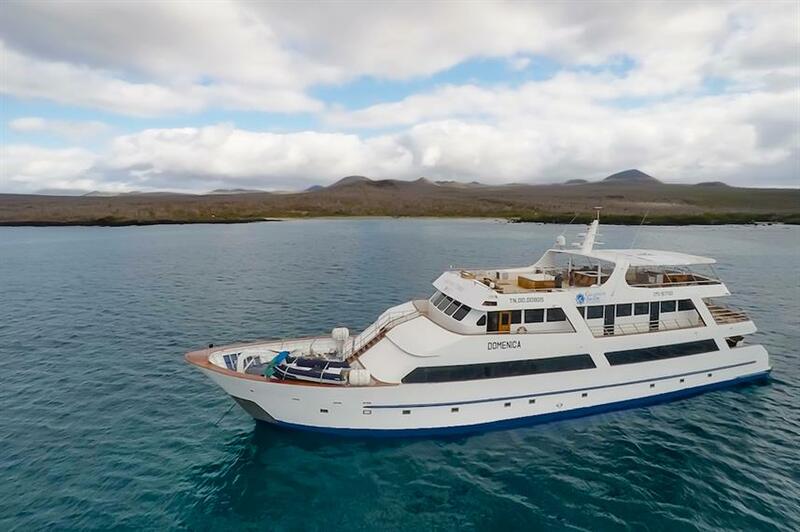 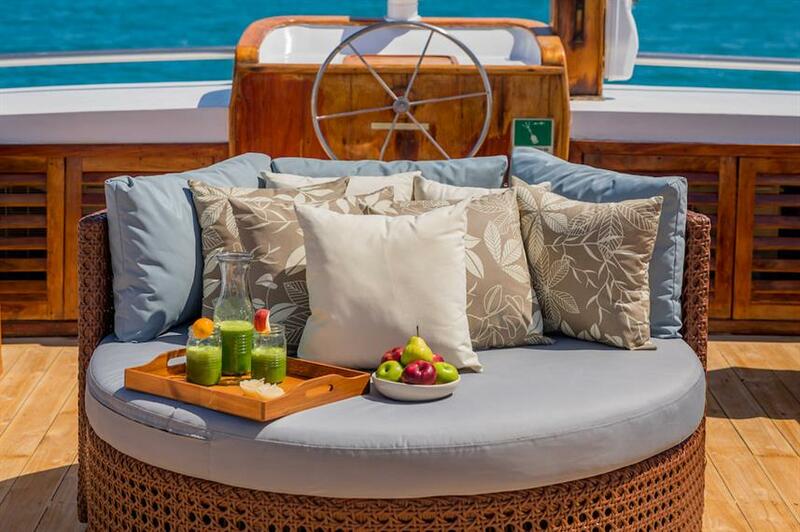 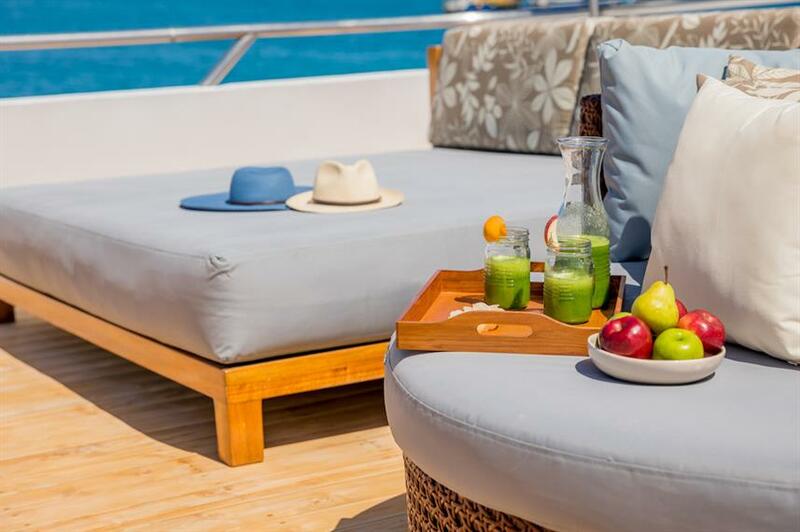 Catering to just 16 guests, she has a contemporary design and offers abundant space to relax and unwind after a full day of exploring the Galapagos Islands. 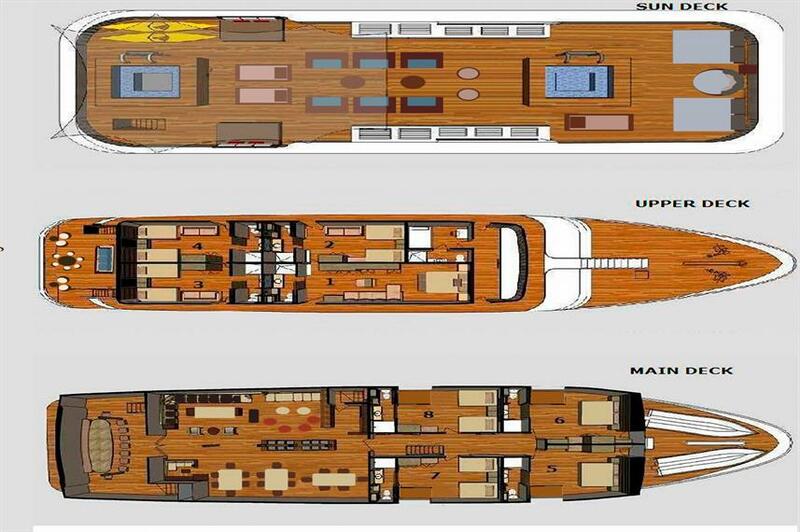 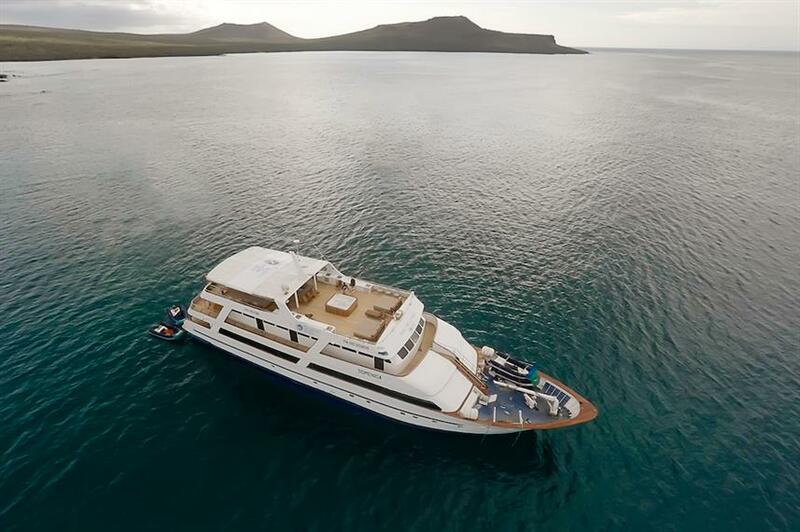 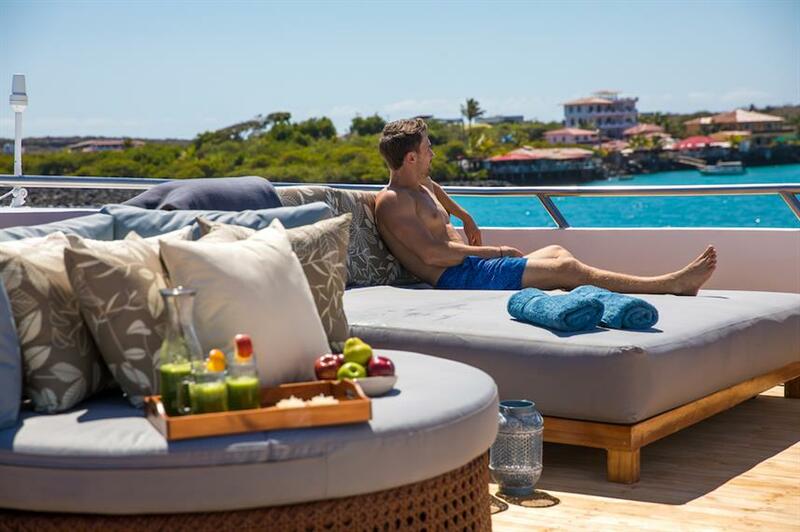 The Galapagos Sea Star Journey yacht features a modern and contemporary design. 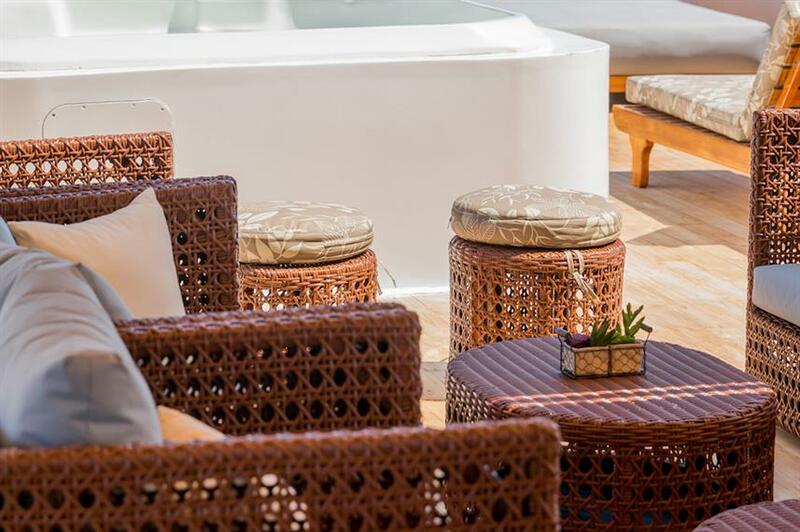 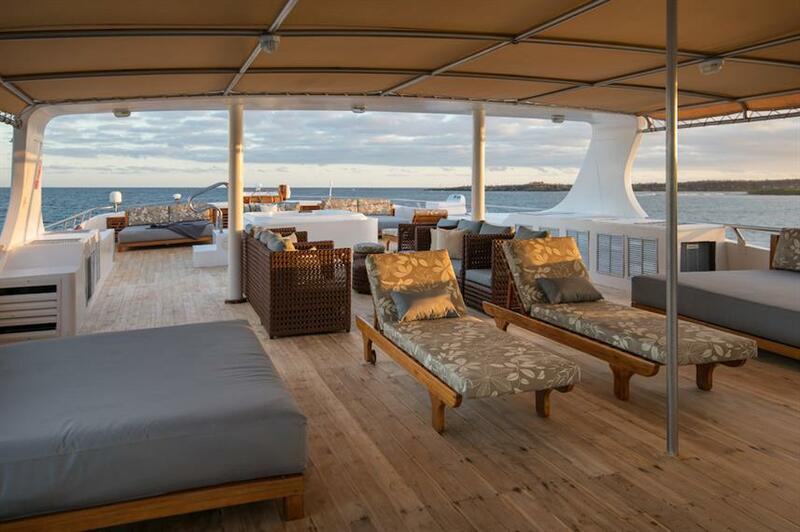 On the top deck is a spacious solarium which offers comfortable sun loungers, both open and shaded and two hot tubs. 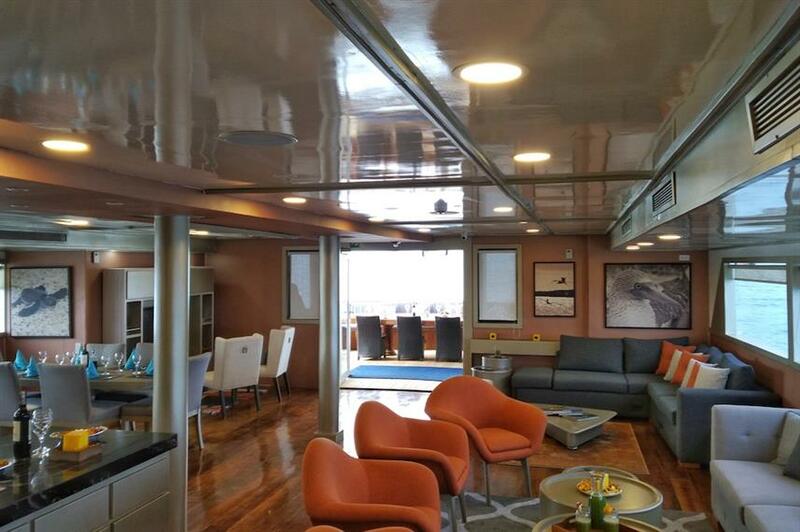 On the main deck is a well stocked bar, indoor lounge, dining and library. 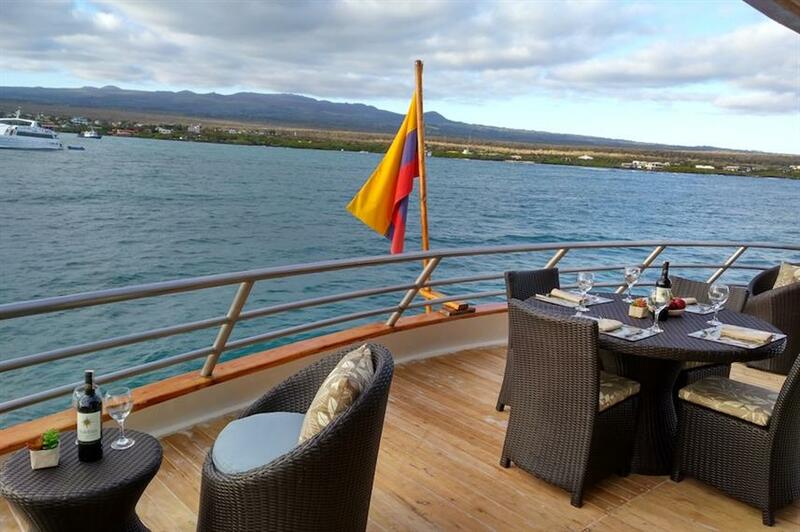 Meals are served at either the indoor dining area or al fresco where you can enjoy the wonderful sea breeze. 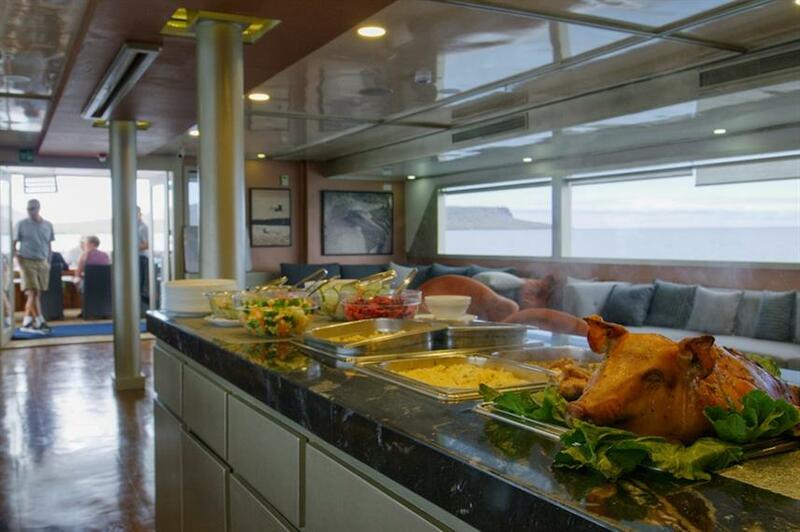 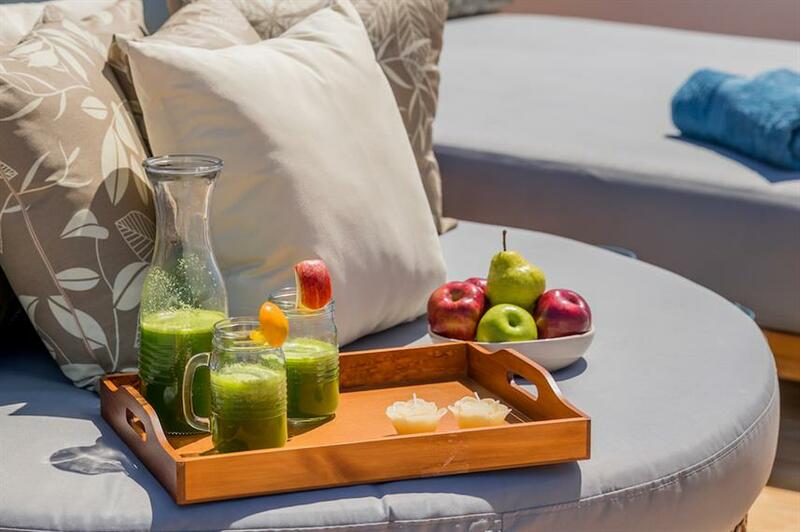 Dishes are freshly prepared on board and combine natural and organic ingredients. 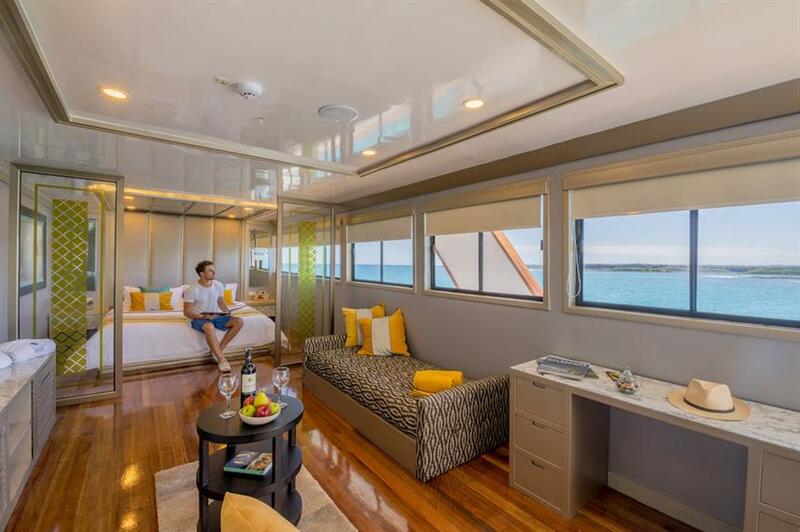 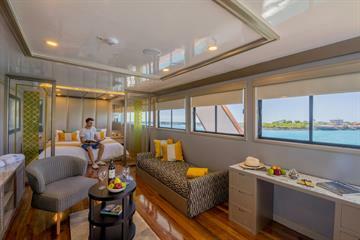 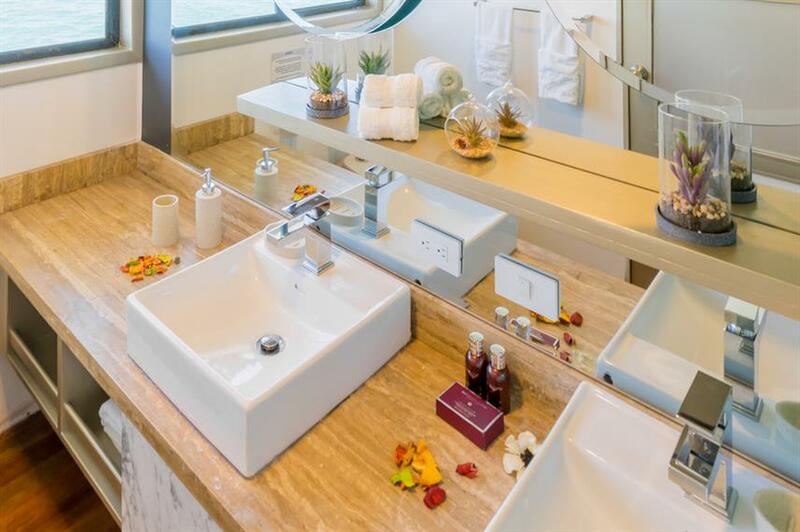 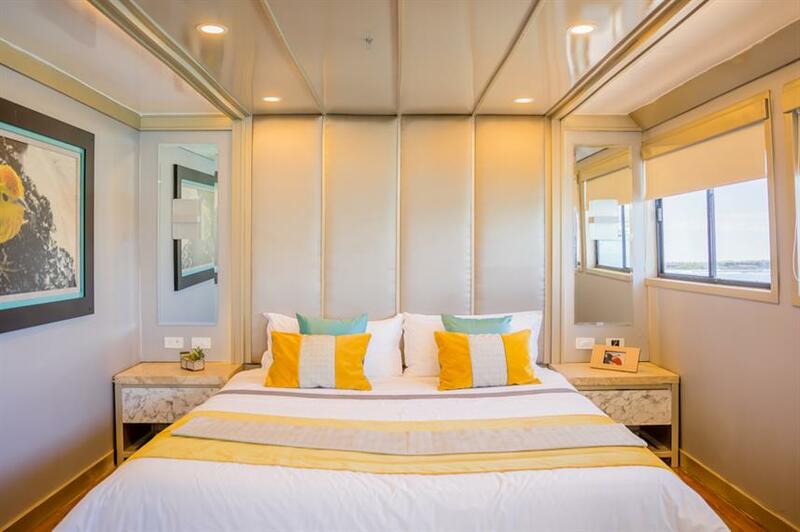 Aboard the Galapagos Sea Star Journey there are seven spacious cabins each featuring AC, en-suite bathrooms, storage space, safety deposit boxes, desk, mini-bar, hairdryer and plasma TV. 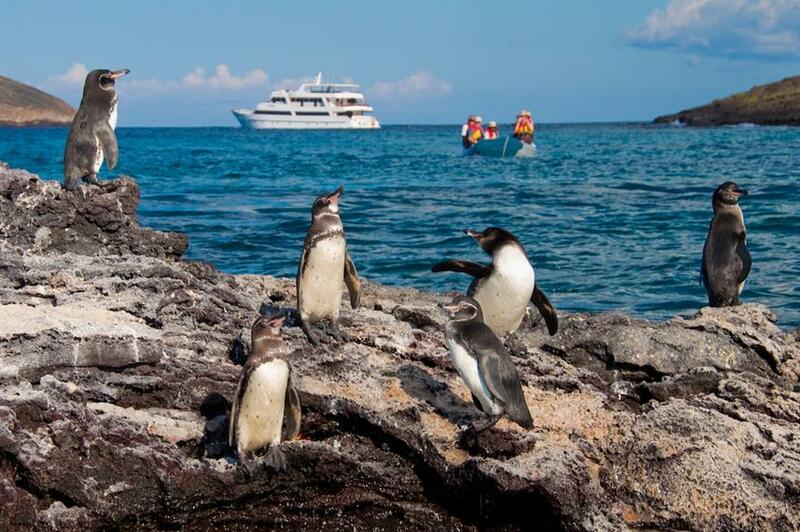 Your Galapagos cruise includes exciting activities such as snorkeling with sea lions, kayaking around rigged coastlines, zodiac rides and nature walks and hikes to visit some of the best Galapagos sites, such as Post Office Bay, Sierra Negra Volcano and Isabela Island. 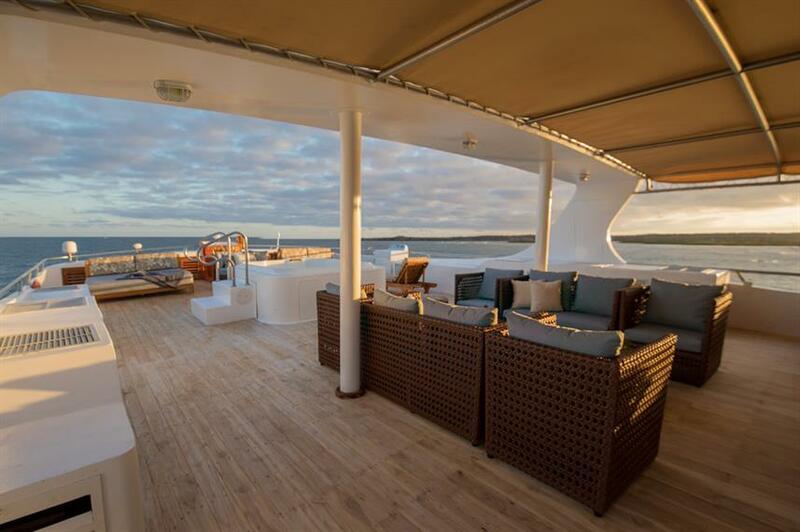 There will also be time to for beach relaxation to unwind and enjoy the views. 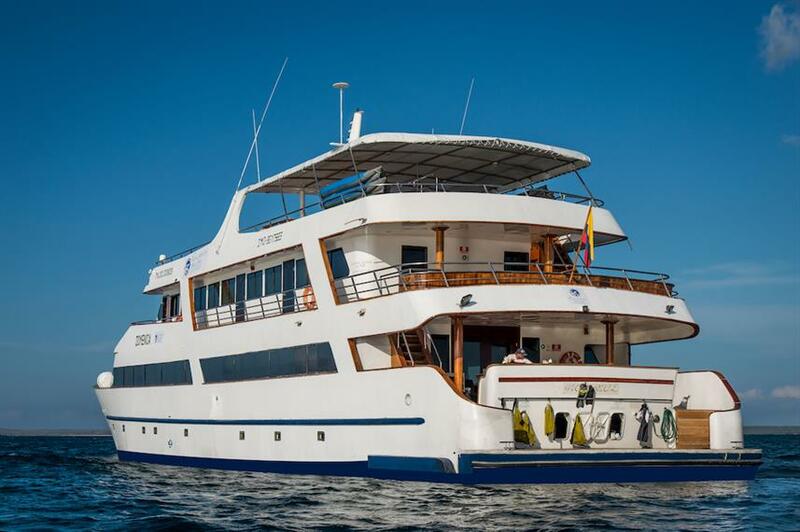 The experienced certified naturalist guide aboard the Galapagos Sea Star Journey has wide experience and knowledge of the Galapagos Islands. 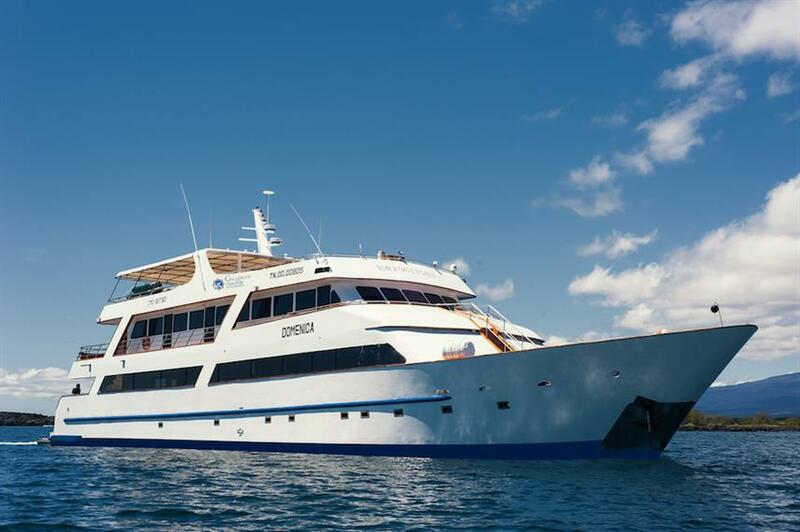 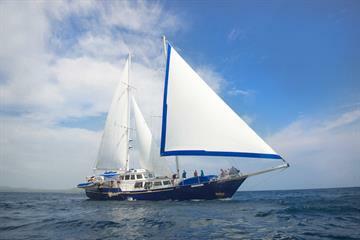 Call us or book online today to start your Galapagos adventure. 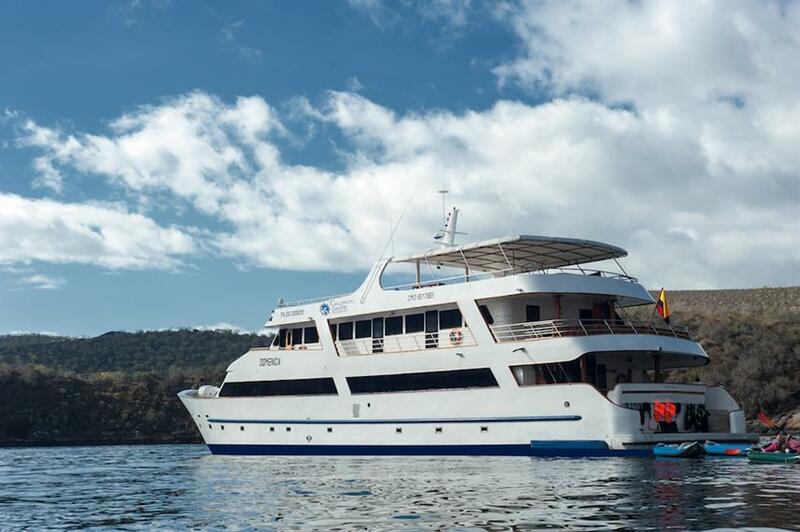 Included: VAT, Fuel Surcharge, Airport Transfer, Drinking Water, Tea & Coffee, Welcome Cocktails, Full-Board Meal Plan (All meals), Snacks, Kayaks, Land Excursions, Naturalist Guide, Snorkel Gear, Snorkeling Guide, Beach Towels, Cabin Towels, Deck Towels. 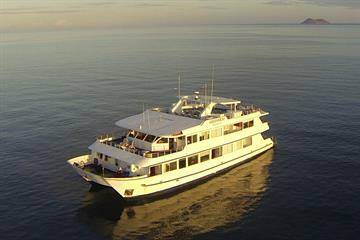 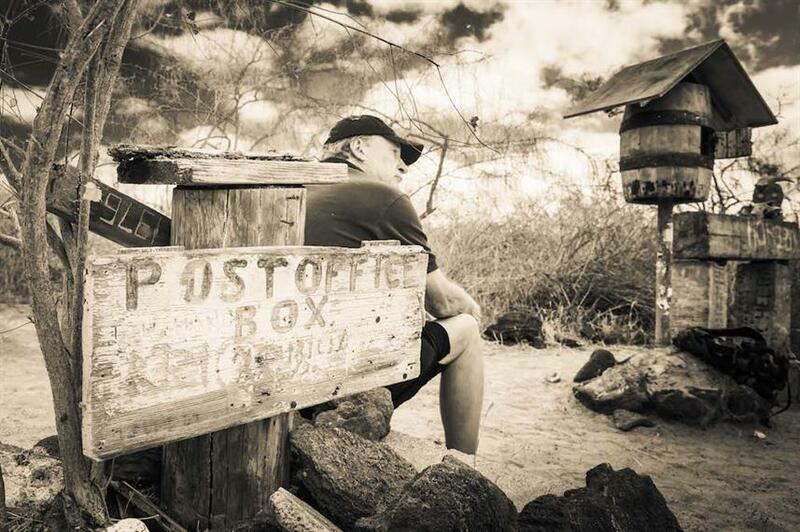 Required Extras: National Park Fees (120 USD per trip), Port Fees. 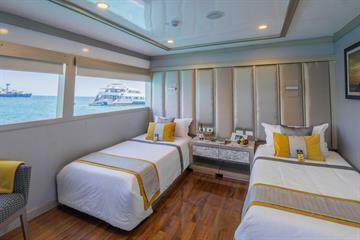 Optional Extras: Gratuities, Local Flights (469-509 USD), Alcoholic Beverages, Soft drinks. 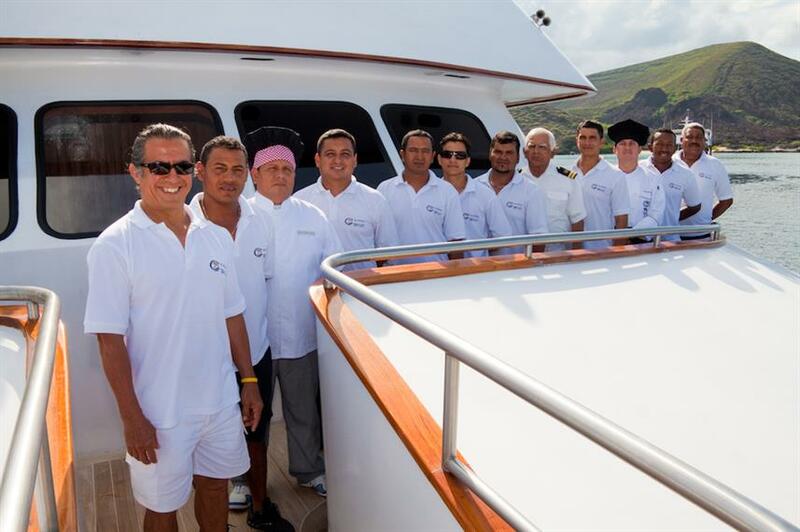 Good environment and excellent preparation for on-board activities. 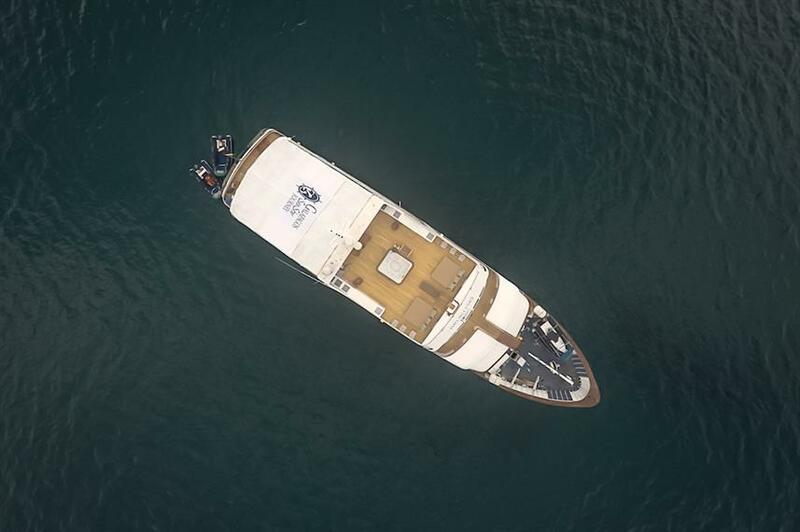 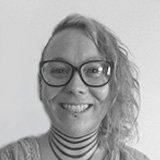 Excellent guide (Hanzel) and boat manager (Kyra). 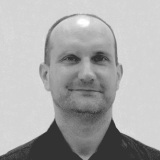 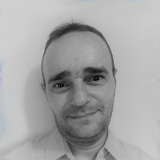 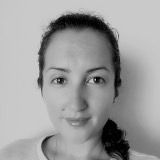 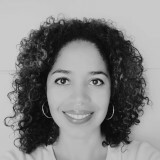 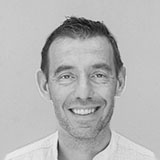 In general a very good experience for myself and my family. 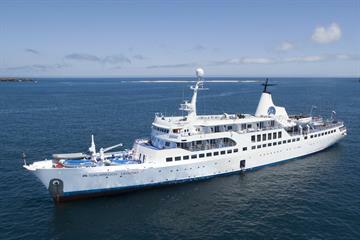 It was one of the most impressive trip of my life! 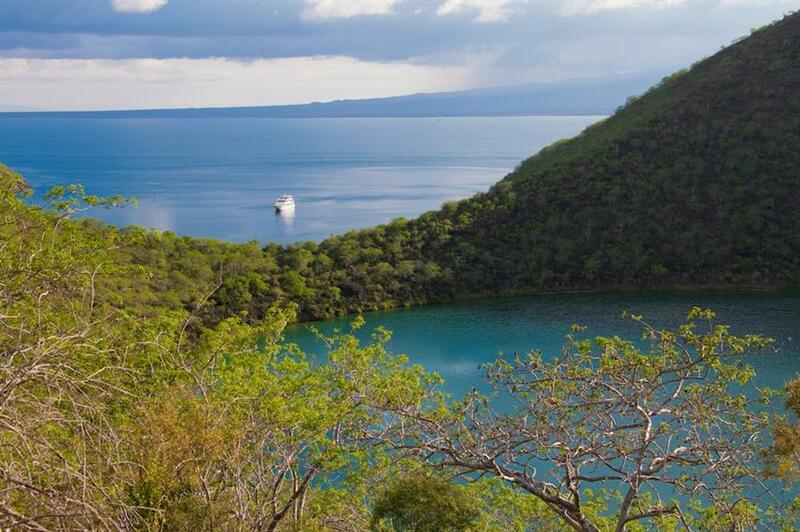 Exploring the amazing land scape, snorkling with sea turtles, learning about animals I have never seen before. 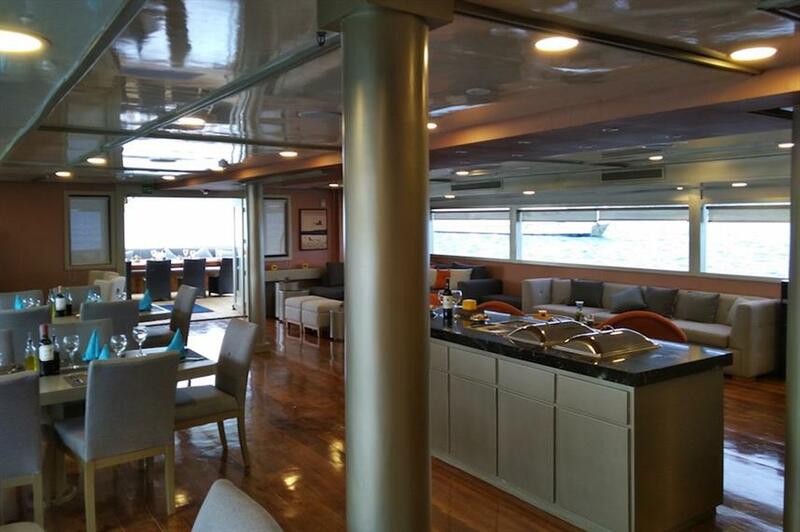 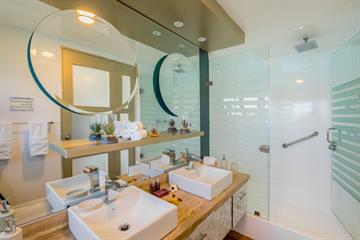 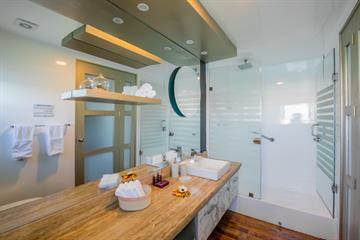 The Sea Star Suite is located on the Upper Deck. 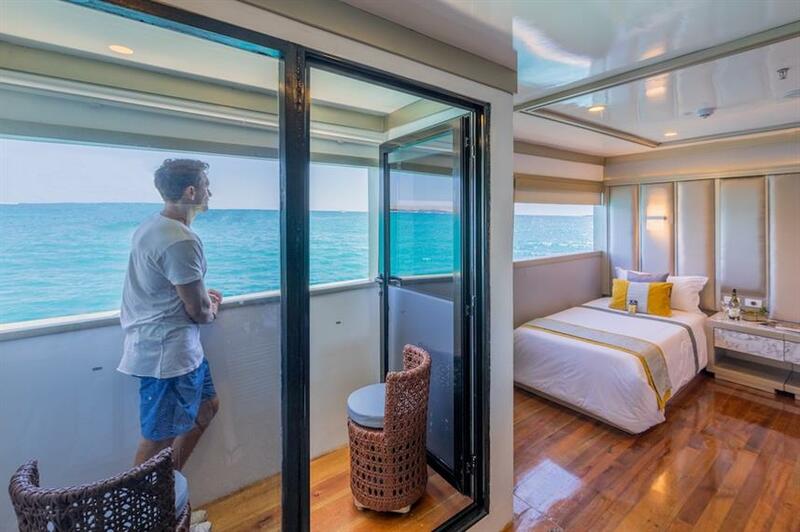 This cabin is like having your own apartment on the Galapagos Islands with a King size bed. 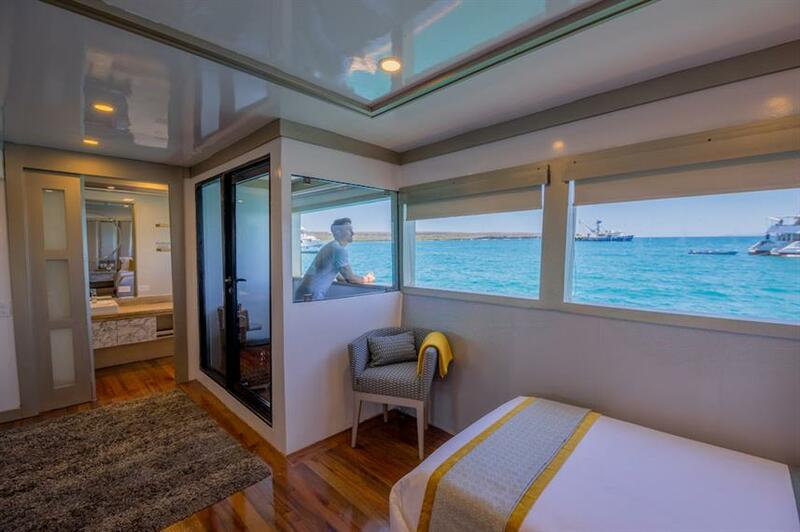 Some of the cabins features are a large and panoramic view windows, a large sitting area with desk, a comfortable sofa bed for triple accommodation, perfect for children, and its private bathroom. 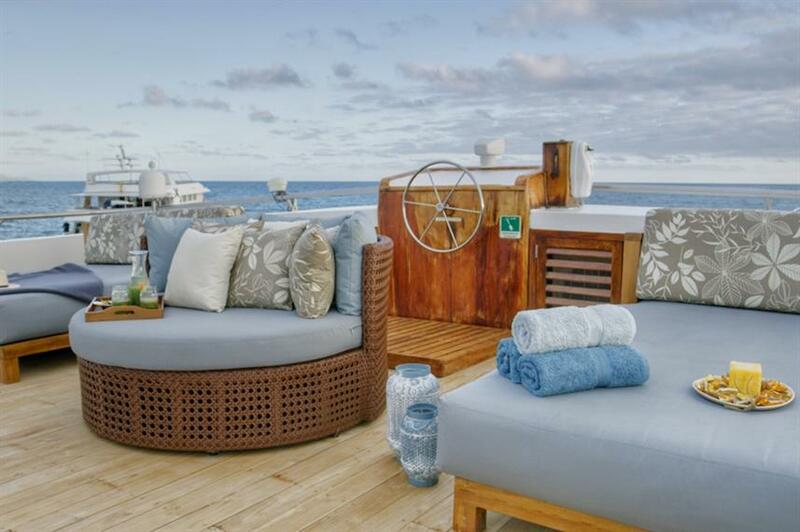 2 twin suites and 2 matrimonial suites on the main deck. 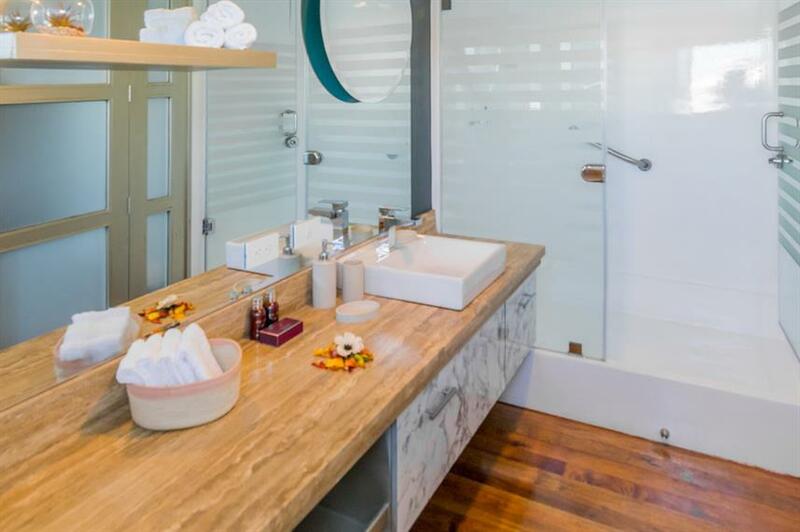 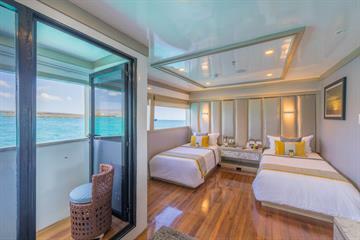 These suites now offer a balcony for guests to enjoy the Galapagos landscape in their room privacy, and all the suites are equipped with panoramic windows, private bathroom, hot/cold water, air conditioning with independent controls, and safe box. 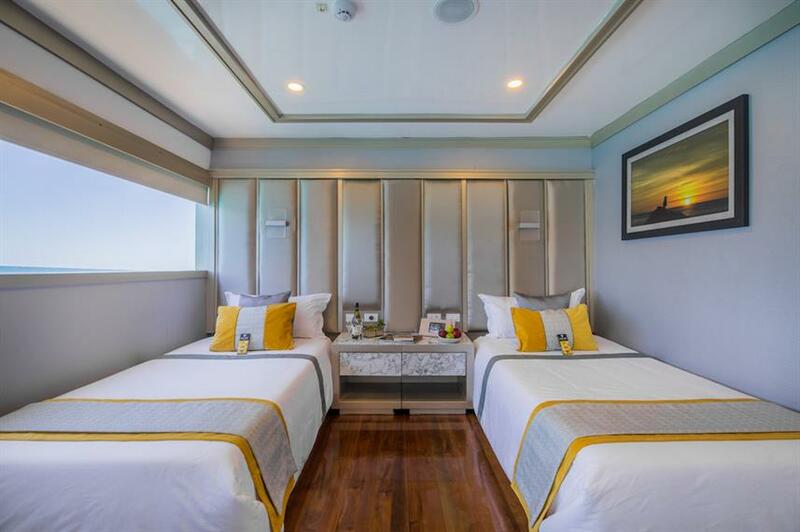 All the suites are equipped with panoramic windows to enjoy the landscapes of the islands, private bathroom, hot/cold water, air conditioning with independent controls, and safe box.